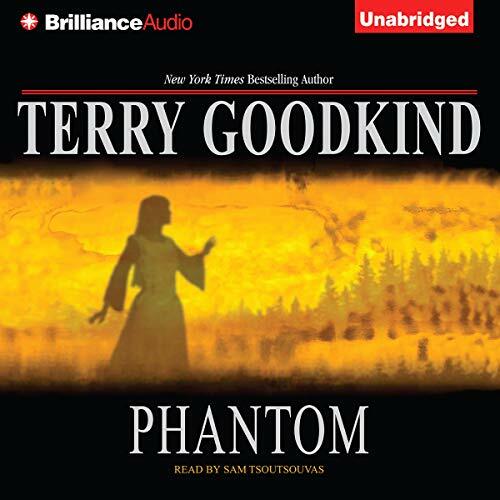 Bestselling author Terry Goodkind's epic Sword of Truth series continues with the next stunning installment, Phantom. Epic edge: listen to more in the Chainfire Trilogy and the swordtruth series. Had me the whole way through! Sam's performance is always flawless in my eyes, so much emotion in the way he tells the story. Finally finished reading Phantom. 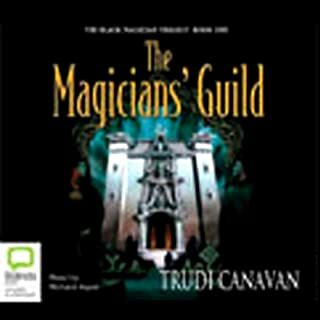 This book was the dullest of the series, it seemed like TG dragged it out too long, especially with Kahlan's storyline. Now off to finish the series with Confessor. Hopefully this one will be as good as the beginning of the series. OK, with hands fisted at my sides I'm going to finish this series, heehee! Anyway, this is not really a bad book but I'm getting to think this author has a real problem with women and I will be happy to be done with all the violence against them. Other than that, we're moving toward the end I think... some good, some not so much but all in all I have to say I have been entertained. I liked this reader too, he's from the very frst book I think. I'll end up finishing this series, but listening to Phantom feels like I'm just drudging through it to get to see how it all ends. 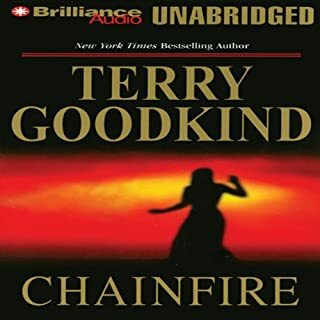 Would you ever listen to anything by Terry Goodkind again? As I said, I do want to see how it all ends - I've invested a couple of hundred hours listening to this series. What three words best describe Sam Tsoutsouvas’s performance? Could you see Phantom being made into a movie or a TV series? Who should the stars be? They tried with this series and when you read TG's remarks about it, you can tell he wasn't thrilled with it. Okay, so I've really enjoyed this series. Really, really enjoyed it. This end trilogy, though, is turning out to be so tiresome. 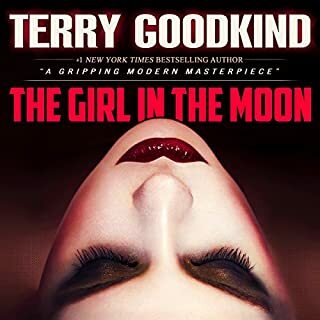 Throughout the books, the characters have been a vehicle for TG to put forth his ideas about free will and the rights of the individual and a story of the atrocities of unchecked evil and how one must fight back against it. So far, this second book of the trilogy is pretty disappointing. There are HOURS where characters are retelling to someone a list of the goriest things TG could think of which go on and on to the point where one is just wishing whichever character was being told would just say, "Look. I get it. They're a bunch of ruthless savages. Geez. Move on, already." There is at least one LONG, LONG, LONG lecture - like an entire chapter - where a poor, ignorant character is enlightened about the evils of faith - any faith - and how those who have faith love to kill those who don't believe as they do. Not to mention, those who have faith are ignorant, stupid, illogical, blind, sheep-like, intolerant, egotistical, condescending, uncharitable, judgmental, misled fools who hate everyone around them and despise life itself. Believe it or not, that's not an exaggeration. The book is SO repetitive and wordy. Where TG could use 10 words, he uses 100. It reminds me of Jordan's Wheel of Time series where there were passages that lasted for 200 pages where literally nothing happened. It's like the author was told, "Okay. We want to end this with a trilogy. I don't care how short that story is, fluff it up to 800 pages so we can divide it into three books." It's like what Peter Jackson did with the Hobbit, but preachy.All in all, I've truly loved this series. It's so disappointing that this one book has turned it into a grind. What can I say, I really should have read the other reviews and taken a bit more notice. I read the preceding books in the series when they were first released, and I must say and advantage to printed books is that you can skip the bits that are repetitive and dull. I think that the three final books in this series could easily have been compressed into a single story. Although I have memories of the early books being very good, the final "trilogy" set have been something of a disappointment. The characters are dreadfully one-dimensional, and Richard himself has become unbelievable, overly righteous and at times downright dull. And was it just me, or were all the "bad" characters fat and/or ugly brutes, and the "good" characters slim and attractive intellectuals? Please! 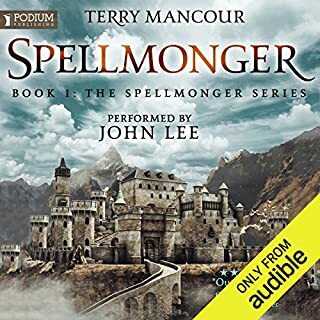 I also found the switch in narrators disconcerting - the narrator who did the first book was better, but by then I was sucked into the "but I just need to see how it ends" trap. I was some what dissappointed with Chainfire, part 1, but this book was a lot better. My only wish is that the narrator would stay the same. I really dont care who, although Jim Bond would be preference, but when you are use to one person, a change in the characters voices can throw you off. 10 books in and the reader decided to change the way some of the places and names are pronounced!!! Very disappointing to listen to but great story!!! This guy needs to stop reading. I have such a hard time listening to this guy. I wanna throw my kindle and phone. Makes me angry that they let this monotone jerk read these books. I wish there were other options but I am stuck with this guy. 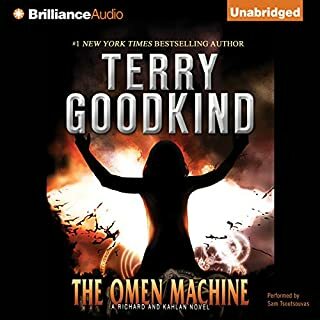 Terry Goodkind got a bit longwinded on the 'rules' of magic, but other than that I enjoyed the continuation of the great saga. I miss Jim Bond as the narrator, but it was still well done. 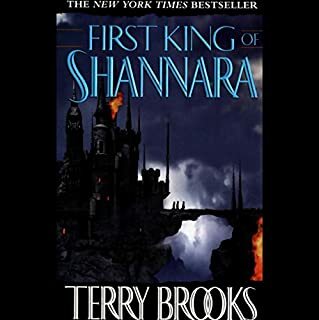 At the beginning I was really disappointed the narrator had changed for this book and it took about 12/13 episodes to get into it. 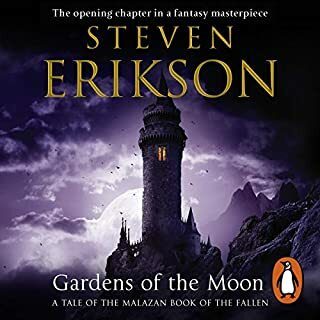 It is still a great story and I look forward to the next one, but I do wish it could be read by the same narrator for the whole series. 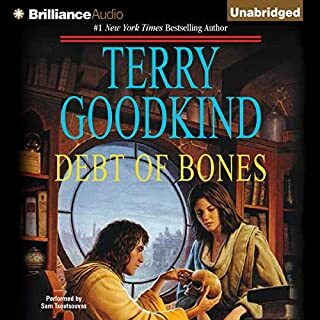 It is a nice story and very captivating at places but at others i just bad to skip as it was too repetitive about things we know from the previous books. Great book but slow in places. 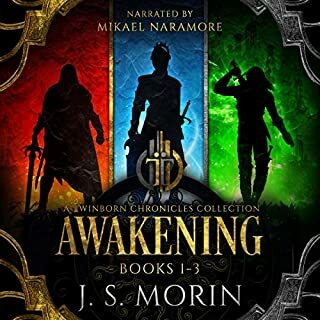 This book is yet another great instalment in this epic series and although slow at times the twists and turns are just as frustrating and exciting. If you could sum up Phantom in three words, what would they be? This is book 10 in an 11 book series. I LOVED IT!! 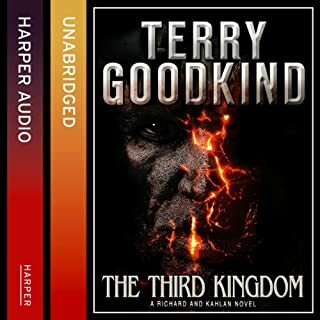 Such a rich world is created by Goodkind. At the end of the book I was so excited that I went straight on to the last one. This can be read alone but much more is gained if you read it as part of the series. The characters are so well conceived and the plot so well put together. 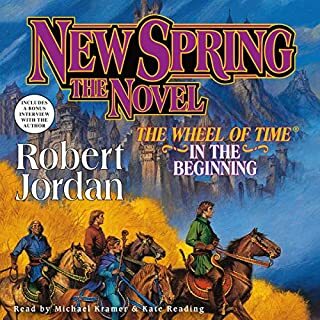 The narrator is one of the better narrators of the series although to begin with he is a little robotic but once you get into the book you don't notice it. Seriously, I have listened to the entire sreies up until now but this guy has no idea, he is just taking the mick. I posted a negative review about previous readers but n ow I realise that they were quite good; the current reader is atrocious. He has no idea about tempo, nuance or AAARGHHH, he is really bad. If I didn't care about the story I would stop now. It would be good if publishers did nlot rely on " he has a good voice" and went with a narrative that conveyed the story. Disapointing, but only because of the narrative...the story, of course, is compelling.